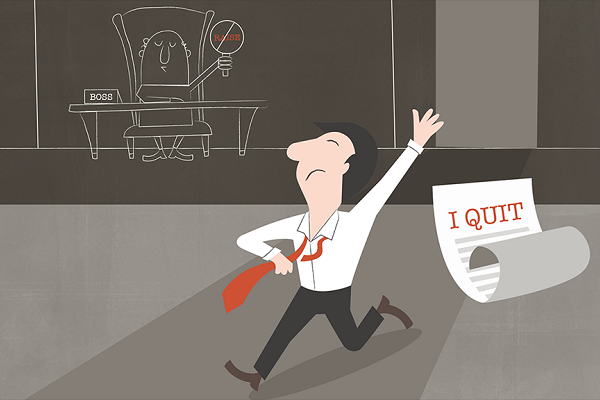 Here are the most common reasons which made people hang up their socks and say "I quit". Are you facing something similar in your first job? Find out here. Thinking of quitting your first job. A first job is a great, life-changing experience. It is you officially becoming a part of the adult world. But, what if you think the job is not working out for you? Here are some of the things which make people say “I quit”. Many people decide to quit their jobs because they do not get along with their boss. While a boss has the task of overseeing things and sometimes push you beyond your limits but an over-the-top bossy boss can force people to quit jobs. It is not just the attitude, sometimes your first job can be a thankless job, credit your boss. 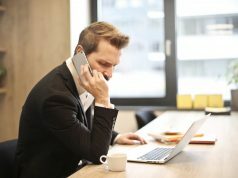 When bosses fail to recognize the effort the candidate puts into the job and force the employee to work hard without enough motivation, that is a call for a job change. Sometimes the job a person does in office is very different from what their job profile says. This makes many people, especially those fresh out of college and entering their first job with sweet dreams of what a job is, disillusioned. A huge number of people who consider quitting their job state dissatisfaction with the job itself for the reason behind it. 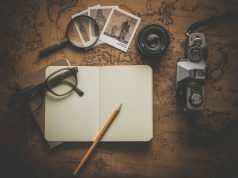 This dissatisfaction stems out of not doing what they think they might do in a job, not getting enough opportunities to utilise their silent, or simply being made to sit on the bench for a long period of time. It is very important to grow as a person and as an employee and when that expectation is not met, it can often lead to job dissatisfaction. No personal growth was one of the most common reasons which made people say “I quit”. Most fresher job seekers seek excitement in their job. However, when the job becomes monotonous and fails to challenge them that they grow restless and decide to quit. “No man can live as an island.” And this stands true in a work environment too. Unsocial colleagues can make one feel unwelcome to a new job. Sometimes, these colleagues are outwardly rude and during the bad days a raging bully. Many people said they decided to quit their job or quit their job because of such unsocial elements around them that radiated with negativity. 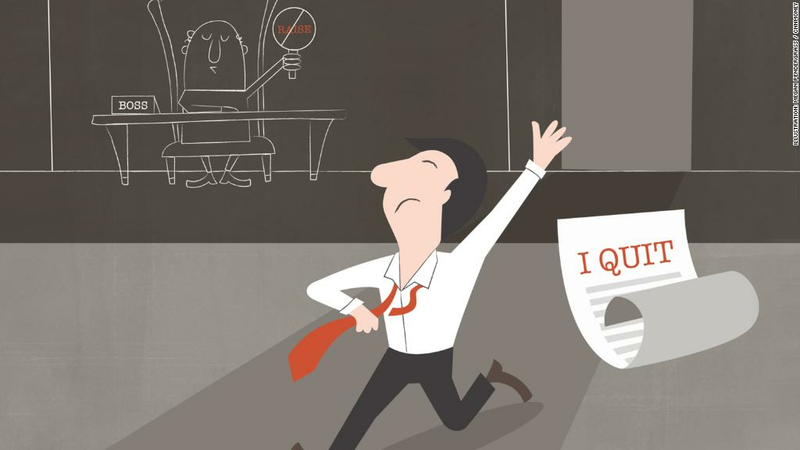 So, does your reason for quitting your job fall under any of these? If no, then do let us know what made you quit your job or at least consider quitting it. And if you are worried about what you will do once you do quit, then don’t worry. There are numerous job portals for you to browse through and find fresher jobs, or IT jobs or jobs in Bangalore; basically any and all sort of job that you might want.